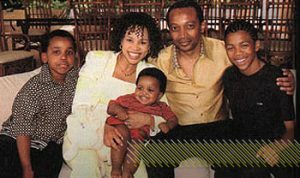 The Motsepe Foundation was founded in 1999 by Mr Patrice Motsepe and Dr Precious Moloi-Motsepe. 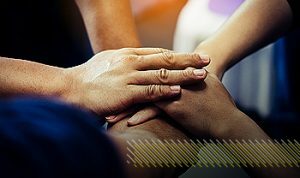 In 2013 the Motsepe family were the first on the African continent to join the Giving Pledge, started by Bill and Marinda Gates and Warren Buffet.The Foundation was founded on the philosophy of ‘ubuntu’, the African concept of giving and caring for your neighbour and other members of your community. This selfless and compassionate quality is part of age-old African culture and expresses the core value of humanity as goodness to our fellow men. The act of giving back has been and still is an integral part of our moral duty and collective responsibility. It is a concept that has held African families and communities together for generations, despite the continent’s many challenges. We are proud to pass it on to the next generation. 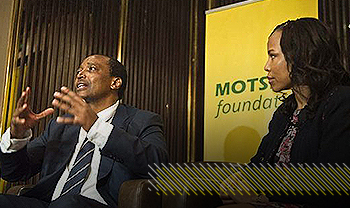 The Motsepe Foundation was founded in 1999 by Mr Patrice Motsepe and Dr Precious Moloi-Motsepe. The Foundation was founded on the philosophy of ‘ubuntu’, the African concept of giving and caring for your neighbour and other members of your community. This selfless and compassionate quality is part of age-old African culture and expresses the core value of humanity as goodness to our fellow men. Supporting the development of sport in South Africa is aligned with the Motsepe Foundation’s goal of empowering the youth in South Africa through competitive sport, as well as developing and nurturing talent. 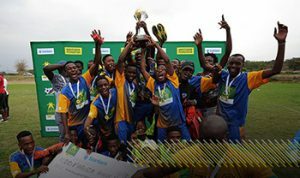 The Kay Motsepe Schools Football Cup launched in 2004. 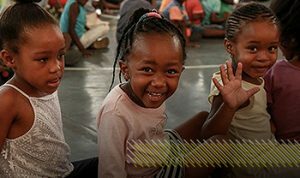 The foundation has two outreach programmes, the annual Christmas With Our People and Christmas Toy Distribution, in celebration of Christmas holidays. These programmes are done in order to share the joy of the holiday spirit with underprivileged families across the country. 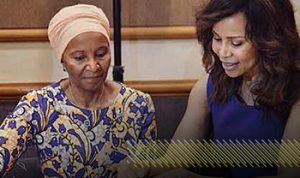 The Motsepe Foundation Women’s Unit was created in 2012 with the aim of empowering women to be equal partners in driving the development agenda at national, regional and sub-regional level as well as supporting the Foundation’s efforts in achieving its core objective of alleviating poverty and improving the lives of the poorer segments of the population, including women. This approach is premised on the fact that development challenges, such as poverty, gender-based violence, healthcare and education systems, access to finance and enterprise development all have gendered dimensions and disproportionally affect women more than they do men. In 2013, Mr Motsepe and Dr Moloi-Motsepe joined the Giving Pledge, becoming the first family in Africa to do so. Established by Warren Buffett as well as Bill and Melinda Gates, the Giving Pledge is a philanthropic initiative established to help address development challenges facing developing countries and marginalised communities. The Motsepe Foundation works with communities through its churches and anchor schools within the areas in which the 26 Development Forums are situated in South Africa’s nine provinces. The forums are made up by members of each community who are elected by the community, as well as religious and traditional leaders, NGOs, business leaders and members of the private sector. A partnership is formed with the Department of Basic Education to develop football, netball as well as choral and traditional music in schools across the country. This is supported by the South African Department of Sport and Recreation and Department of Arts and Culture. 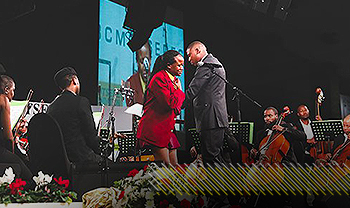 Sponsorship of the ABC Motsepe Schools Eisteddfod programme begins. Kay Motsepe Schools Netball Cup launched with R2 million per year commitment for the next 10 years. 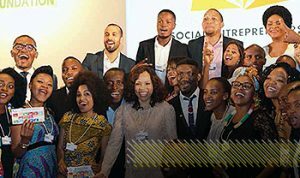 First 96 Motsepe Foundation bursary recipients graduated 2016/2017. Launch of Annual National Prayer Day. The Little Black Book, A Resource Guide for Women across South Africa launched. Building Talent Pipeline for Girls in Science, Technology, Engineering and Mathematics (STEM) initiative launched.